The President’s Day of Service is an annual one-day community service event held in the fall. Undergraduate students work closely with the Center for Social Concern to plan and organize the entire event. We often work with non-profit organizations and community centers which already have lasting commitments to provide and care for the residents of Baltimore. This event strives to thank those organizations for their great work by putting our volunteers right there beside them. If you are a JHU staff, student, faculty, or alumni, volunteer for the day at a local non-profit organization or community center. If you are a local non-profit organization or community center, who could use some helping hands for the day, consider becoming a PDOS service site. The Center also has a network of student interns who are instrumental in helping support the CSC’s initiatives and programs, including President’s Day of Service. Visit our leadership opportunities page to learn more about these paid positions and meet some of our student leaders too! 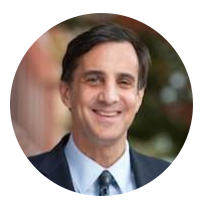 If you have any questions, please contact presidentsdayofsvc@jhu.edu or (410) 516-4777. JHU Homewood undergraduate and graduate students who participate in PDOS, can log their service hours towards the HopServe50 service challenge. Learn more about registering for HopServe50. The President’s Day of Service, originally called “Freshman Involved Day,” was first organized by the Center for Social Concern in 1997. It began as an orientation event to get freshmen acquainted with Baltimore City. The event consisted of about 300 students who participated at 15 different service sites throughout the city. In fall 2009, President Ron Daniels joined Hopkins and made a long lasting commitment to serve the Johns Hopkins and Baltimore Communities. Since then, Freshmen Involved Day was renamed, President’s Day of Service. PDOS invites and encourages the entire Johns Hopkins University Homewood Campus — students, staff, faculty, alumni — along with a number of affiliate campuses, such as the School of Medicine, Peabody Conservatory, and others to participate in various volunteer projects throughout Baltimore City. Since 2009, PDOS has grown from involving 200 volunteers to over 1000 and from servicing 15 community partners to over 40 sites. 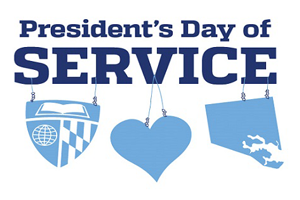 A big thank you to the Hopkins Parents Fund which proudly supports the President’s Day of Service every year! Find out more about the Hopkins Parents Fund and how you can participate.